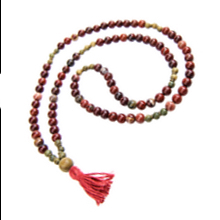 Bone is a traditional material used in malas in both Nepal and Tibet. 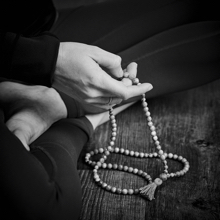 Bone signifies strength and is said to amplify prana (life force energy.) 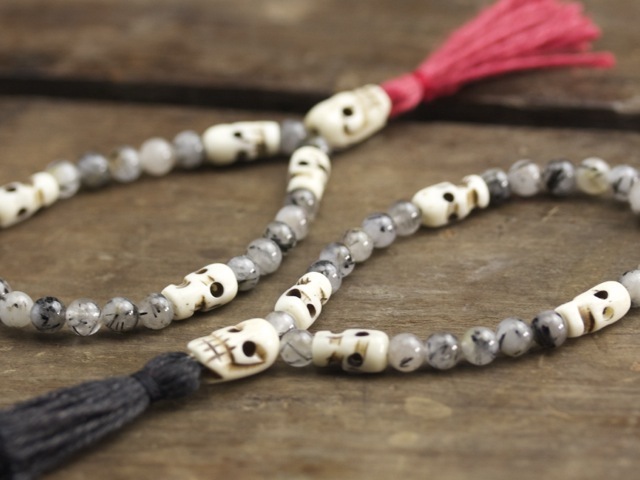 These carved skull beads are reminiscent of the necklace of skulls that the Goddess Kali wears symbolizing liberation, knowledge and wisdom.